Sometimes a place compels you to return over and over again. 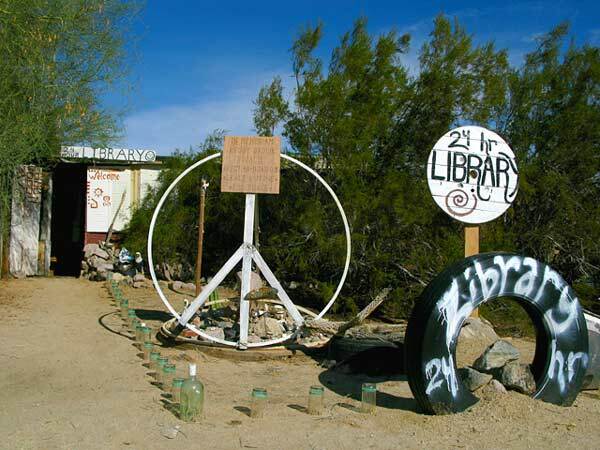 For us, that place is Slab City, the last free place on earth. 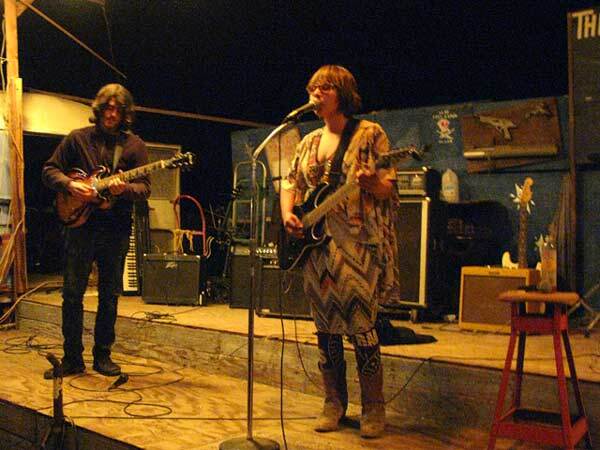 New Lizard Tree Library open mic stage. Ever since our first visit with Skinny Chef and Flux several years ago, we can’t get enough of the place. Truth is, most people who visit are appalled by the Slabs. They just can’t get past the garbage. Wyatt has a problem with unregulated Slabber dogs. 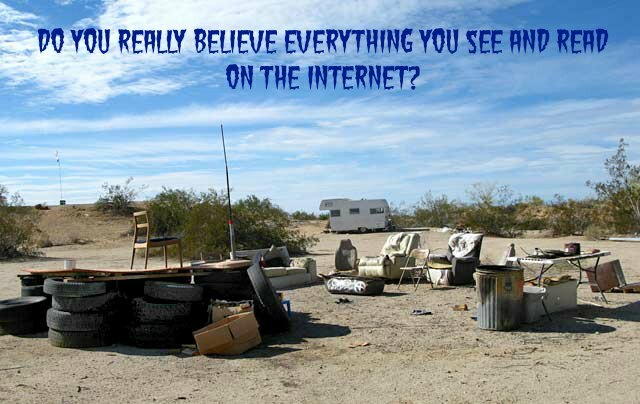 To that we say: do you really believe everything you see and hear on the Internet? We left for a night to dump at Fountain of Youth. If so, well then sorry for you. 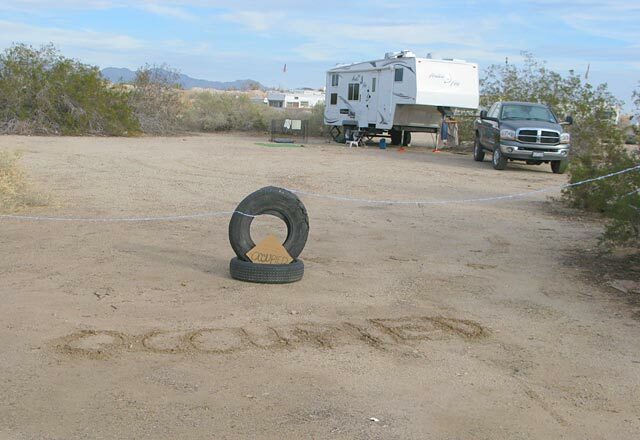 Go plug in at your cozy cookie-cutter RV park and enjoy. We’ll pass. The Slabs aren’t for everyone but if you have an open mind and heart you’re bound to enjoy yourself. Stick around, get to know your neighbors and do things. Pretty soon you might find that it grows on you. This gal was a great musician! My heart was very happy to see that Cornelius and crew continue making the Library a happy hangout for locals and drive-by tourists alike. The Lizard Tree Library lives on. The library is more organized than ever thanks to an actual “staff.” Clearly they’ve been busy decorating. Follow the library rules and nobody gets hurt. Tons more books line the shelves and although it takes some digging, everyone can find something that appeals to their interests. Yep, it’s a real book. Sure it’s a little dusty. Don’t like it? Bring a dustcloth and get to work, slacker! Volunteers are always welcome at the library. Every year is different at the Slabs. This year we felt more like tourists than Snabbers since we only stayed two weeks before moving on. Many of the same great people were here. Of course some never left. Oh Stickman, you are unforgettable. But a few things were different from last year. Fences and boundary lines are everywhere thanks in part to a solar farm that got built down the road. The construction company left huge heaps of pallets. The newest Slab City business is open to visitors. 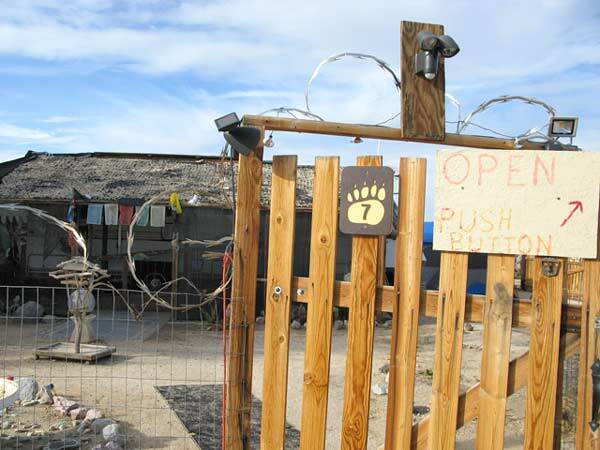 But instead of burning them, Slabber ingenuity turned the pallets into all sorts of crafty structures, from outhouses to fences for things like the new Slab City Hostel. Slabbers know how to make good use of materials. The hostel gets my award for the best entrepreneurial effort at the Slabs this year. There’s a lot of fun energy with creative, beautiful people running the show. Balou and friends keep the hostel running smoothly. But a close second is George’s Off-Grid Experience, an AirB&B rental. OK, maybe you just get the bed when you stay. But it’s still cool. 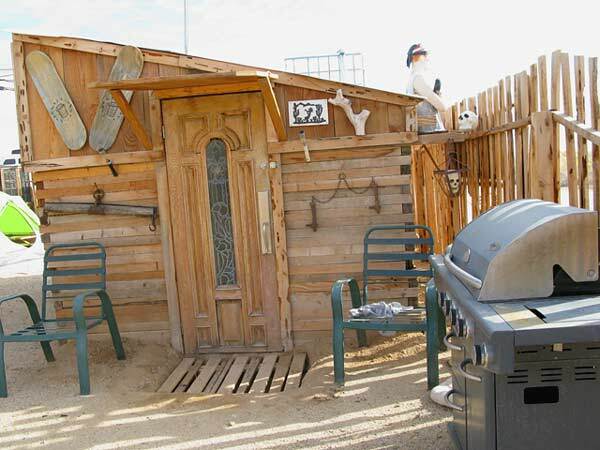 Yes, it’s a real off-grid rental in Slab City. Geographically-speaking the Slabs are also getting bigger. We saw more people than ever camped beyond the Library into the adjacent desert. 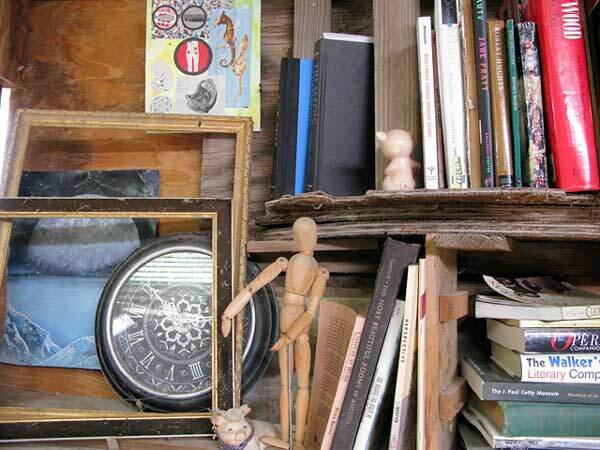 Thoughts are bigger than they first appear at Slab City. We also noticed less trash. Someone is paying for weekly garbage service, no idea who. We didn’t use the dumpster though and hauled our trash out. I felt that it should be reserved for residents only. 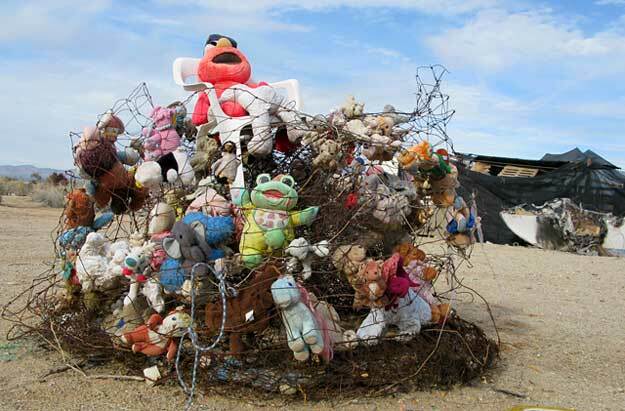 The land of broken toys and misfits. Otherwise it was a short but sweet visit in a place like no other spot in America. We’ll be back again. Keep that cord plug covered! Full-time RVing Home Office Specs Updated! This is so cool! 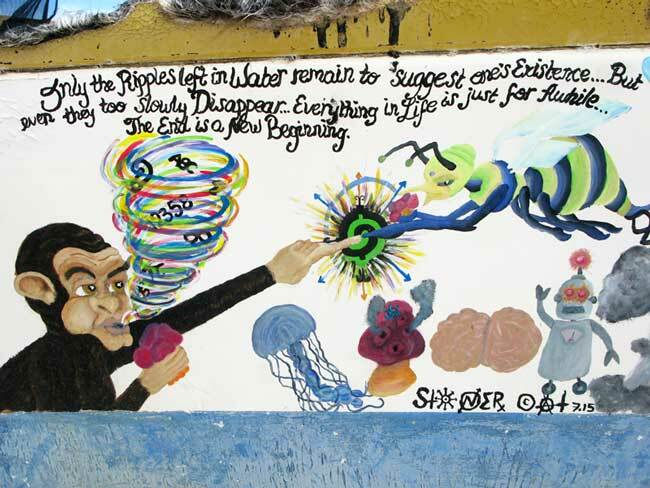 I just visited for the first time — the briefest of visits — to check out Salvation Mountain and East Jesus. Now I wish I’d stayed longer after reading your blog post! The library sounds cool, as does the hostel! Hope to make it back sometime! Glad you got to see it Stef! Out of all the places you’ve been to in this world I love that the Slabs made it onto your radar. Come back again soon, you’ll find us there in January. Happy travels! Thanks, Rene! 🙂 Happy travels to you, too! Wanting to live in the slabs, but will there still be the free America when I arrive? I hear land is being bought up. Im thinking about coming to the Slabs to become a permanent resident. I’m 57 years old (old hippy) and I’m disabled. How hard would it be for me to get around? I’m hoping to head there next fall, I’m tired of Ohio winters. Looking forward to meeting all the residents. That would depend on the extent of your disability Jim. The Slabs are not exactly ADA accessible or even wheelchair friendly. You might consider a short visit prior to relocation. 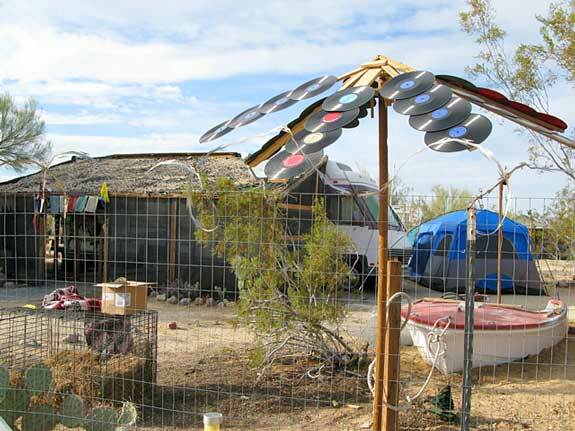 This is a good read about Slab City. Thank you! I’ve never been there, but the internet hype alone would drive my curiosity to visit and see it for myself. I’m glad you showed another view. I love seeing how people find creative and freedom ways to live life as they choose. There’s a million ways to skin a cat, and these people found their niche. If you plan on “fixing” them, then I’m sure you’re not welcome, law enforcement included. I think that’s the real message behind the negative hype on the internet. The internet hype reminds me of Oregon and people saying with disdain how it’s always raining there. Like they are the experts at what I would like, or even that they’re painting an accurate picture with words. I made a purposeful trip to Portland area during the late winter/rainy season. I found it not even remotely as bad as people say. I observed and tracked the weather day for day with North Texas. N.TX was worse, and with none of the beautiful scenery. My conclusion? It’s a way to keep the haters away (or the complainers should leave). Besides, they have a great Farmer’s Market in Portland. I was OVERJOYED to be in that part of the country. Nothing beats the personal experience to know what you like and don’t. Goldie you’re so welcome! 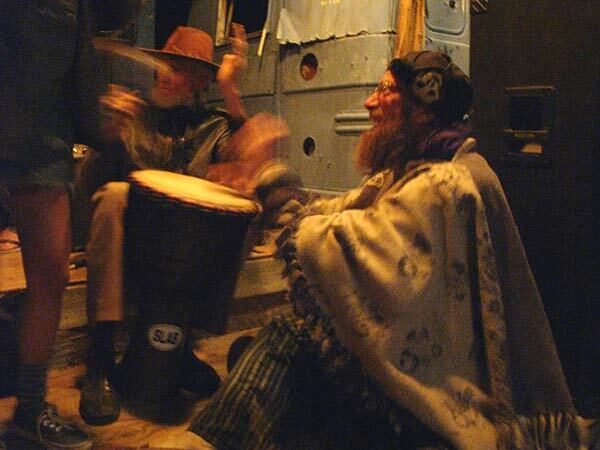 You have the right kind of spirit of adventure that’s perfect for the RVing lifestyle. With that kind of outlook and approach toward new places, people and experiences, one is never disappointed. I’m betting you’ll love the Slabs, or at least be glad that you saw it with your own eyes. If you visit during winter drop us a line, we’ll be there. OH and we agree: We’ll take Portland over North Texas any day. And their farmer’s market IS spectacular isn’t it? The variety of mushrooms just blew my mind! Yup.. we like it there and will go back. We have some friends who stay all winter, and know some who stay year round too. Love the music on the range… and we really enjoyed meeting Solar Mike, who really helped us tweak our solar setup controller. The Buckshot Cafe in Niland changed ownership, but you can still buy propane and fill water there. Too bad the dumps at Calpatria closed up. How much did they charge at Fountain of Youth? The Slabs, ya either Love it or ya Hate it…. take your pick. Right? Karen, how’s it going? It’s so nice to hear from you! Thanks for reading. I hope some day we can meet up at the Slabs or elsewhere when you start traveling again. As for FOY, it’s SUPER cheap if you boondock. $19 for dry camping but you get the dump and full use of the facilities. If you time it to arrive on Tuesday or Thursday you can shop for groceries from the local “Veggie Guy” who comes with a rad selection of produce. Wish we would have done that years ago, it’s so much easier than going to Calipatria, and with the hot tubs it’s a no-brainer. 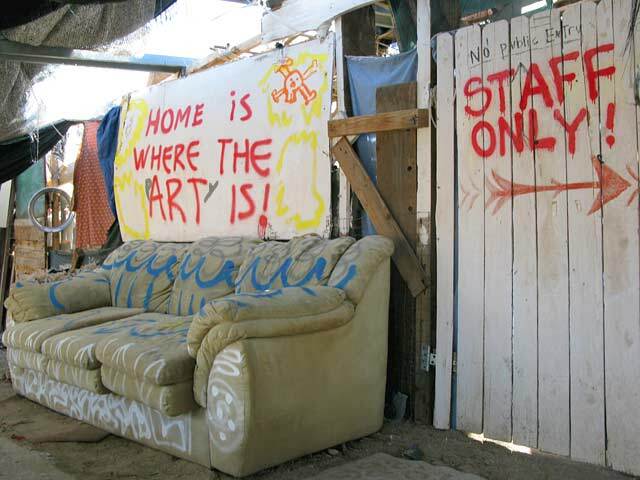 Where is Slab City? Do you have coordinates? Thanks for reading Trenna. It’s near the Salton Sea. Sorry no coordinates, we don’t use a GPS. You nailed it — “if you have an open mind and heart you’re bound to enjoy yourself.” I love the slabs and I enjoyed your thoughtful recap. Aww thanks Gwen. Glad you can appreciate this one-of-a-kind place too. Maybe we’ll see you there sometime!